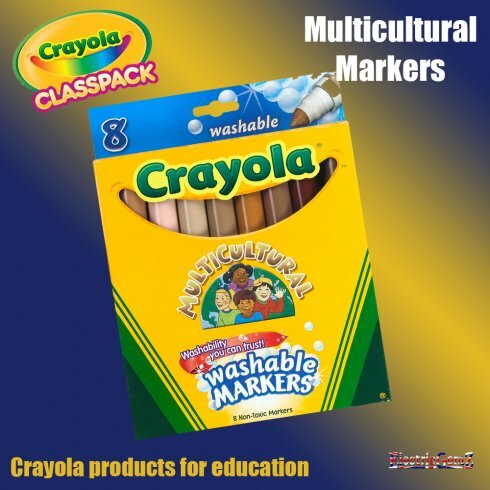 Designed by educators, Crayola Multicultural Markers are specially made for use in schools, colleges, nurseries, day care centres and other establishments where children meet. They can, of course, be used at home too. 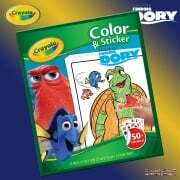 Suitable for ages 3+, this pack contains 8 non-toxic, washable markers in colours designed to best reflect multicultural skin colours, allowing children to draw their family, friends and other people more realistically. Multicultural Wax Crayons and Multicultural Pencils are also available. 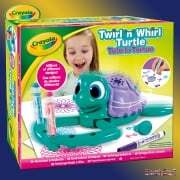 ElectricGemZ is an official supplier of Crayola Education Products. 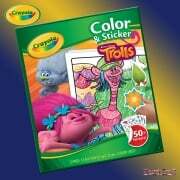 These include larger class packs of the more popular Crayola products. 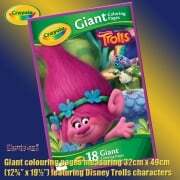 Please contact us if you have a specific requirement of need larger packs or quantities. We are VAT registered and a VAT receipt is available upon request.